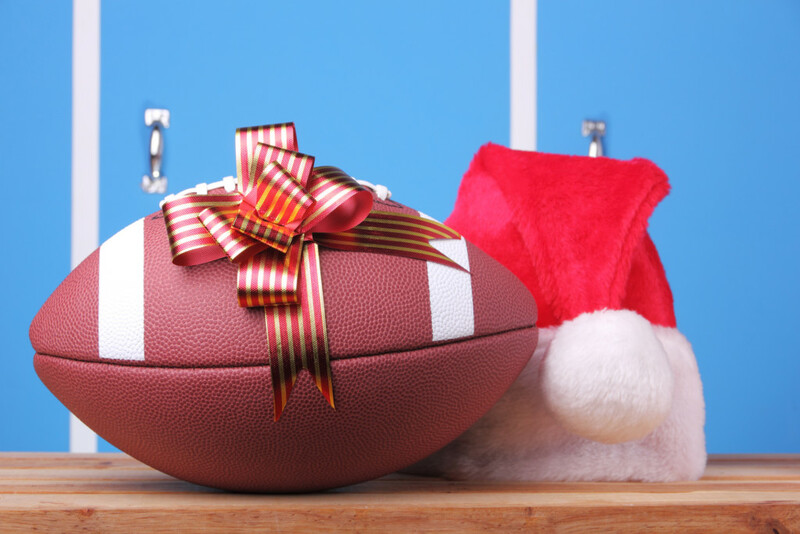 As Andy Williams once sang, “It’s the most wonderful time of the year.” For football fans that could not be truer. The college football playoffs and bowl schedule has been set and every NFL game now has added weight as playoffs and byes, plus the all-important home field advantage is on the line. The college football overlords have once again tapped the lucky participants of the College Football Playoffs, or as it should be called, the Alabama Crimson Tide Invitational. It will be Clemson (13-0), Notre Dame (12-0) and Oklahoma (12-1) joining Alabama (13-0) this year. The semi-finals set up for some interesting rematches. In the Cotton Bowl, Notre Dame and Clemson will play for the first time since their epic rain-soaked showdown in 2015 in Death Valley. That night, the Tigers held on for a 24-22 victory, stopping an Irish two-point conversion to end the game. In the Orange Bowl, Alabama will look to avenge a 47-35 beat down by the Sooners in the 2014 Sugar Bowl. Of course, the Crimson Tide fan base chalked up the OU victory to the game not mattering to Alabama because that’s what every fan base says when their team loses a bowl game. I assure you Nick Saban disagrees. Look for Alabama and Clemson to roll into the national championship. Here’s to one day having a tournament that features conference champions from every conference instead of watching the same teams play for the title every year. What a year by the Tigers so far. LSU was one flubbed-up game versus Florida and a Texas-sized refereeing debacle away from being in talks for the college football playoffs themselves. Be that as it may, the #11 LSU Tigers (9-3) still qualified for a New Years Six bowl as they head to the Fiesta Bowl to take on the #8 UCF Knights (12-0) and their 25-game win streak. It will be a bit of a slightly bitter pill for the Tigers’ faithful as they face a no-win situation. If LSU beats the Knights, everyone will say they won because UCF had to play their back-up quarterback. If they lose, well, let’s not even get into that sadness. However it turns out, the season is one of accomplishment as most pundits had written the Tigers off before the season began. As the season’s final rankings show, the Tigers battled the #1, #5, #10, #18, #19 teams in the country and now will go out playing the #8 UCF Knights. That’s an impressive collection of competition. LSU takes on the undefeated UCF Knights on Jan. 1 at noon. Speaking of Depeche Mode, let’s all put on our darkest eyeliner and head to Orlando, Florida for the Cure Bowl, shall we? You always think of national exposure when a team gets into a bowl game but it will be more of a regional affair as the Tulane Green Wave (6-6) takes on the Louisiana Ragin’ Cajuns (7-6). It will likely be a ground-and-pound showdown as the Ragin’ Cajuns feature running backs Trey Ragas (1167 yards rushing) and Elijah Mitchell (978 yards). The Green Wave will counter with Darius Bradwell (1014 yards) and Corey Dauphine (771 yards). The X-factor will be the continued maturation of Tulane’s quarterback Justin McMillan, who is coming off of his best performance at Tulane. In the regular season finale, McMillian was 18-for-29 for 291 yards and 3 TD’s versus Navy. The Cure Bowl is set to kick off on Dec. 15 at 12:30 p.m.
Yeah it was ugly in Dallas but that just happens sometimes. With a four-game division lead (with four games to go) the Saints head to Tampa Bay this week looking to clinch the NFC South for the second year in a row. With the Dallas loss the Saints (10-2) have fallen one game behind the L.A. (11-1) Rams for home-field advantage throughout the playoffs. The remainder of the Rams’ schedule (Bears, Eagles, Cards, 49ers) is far easier than the Saints (Bucs, two against the Panthers, Steelers) so they might not catch L.A. That leaves the Chicago Bears (8-4) as the team to stay in front of to get a bye to start the playoffs. With four games left, the Saints have a two-game edge on Chicago (and the Bears play the Rams this week). Saints travel to play Tampa Bay at noon at Dec. 9. Building programs from nothing is all about the baby steps so, even after a season-ending loss, the #14 Nicholls State Colonels season will go down as a major success. The Colonels (9-4) were beaten by the #4 Eastern Washington Eagles 48-21 in Cheney, Washington. Nicholls State started off hot controlling the ball much of the first half and built a 14-3 lead. Unfortunately, the last play of the half resulted in a blocked field goal that the Eagles returned for a touchdown and momentum would be on their side the rest of the way. The Eagles scored 32 unanswered points in the second half before Chase Fourcade ran in for his second touchdown of the game to make the final 42-21. It’s another great season for the Colonels and this team will return a ton of talent on offense next year so look for Nicholls State to be in the hunt for another Southland Conference title.